If you don't immediately recognize Emily DiDonato's name, her face will surely ring a bell. The New York City–based model became the face of Maybelline just months after graduating high school and has continued to appear in television and print ads for the brand. She's also modeled for Victoria's Secret and countless designer brands, as well as ad campaigns for some of the top fashion houses in the world. Through the demands of her impressive modeling career, DiDonato has become well-versed in all things beauty and wellness. Today, she's breaking down her tips for having healthy, glowing skin in the dipping temperatures of winter. Temperatures have dropped and the sun is setting before 5 p.m., so it’s safe to say that winter is in full swing. Any last remnants of my summer tan have officially dissipated, leaving me fighting with dry, dull skin and potentially a vitamin D deficiency. Yay winter! As a model, I need to have bright, glowing skin year-round, and I’m constantly trying to prevent winter from hijacking my skin. During the coldest months of the year, I’m usually shooting summer campaigns, which means short skirts, tank tops, and bikinis in below-freezing temperatures. (Yes, I’m that girl in a miniskirt in the dead of winter doing a photo shoot in the middle of Mercer Street.) I’m always trying to achieve an I-just-got-home-from-vacation glow, so here are my favorite tips, strategies, and products to keep skin bright and glowing in the winter. I know the old saying “beauty comes from within” is tired and boring, but when it comes to bright and glowing skin, it’s true. There are a few things I incorporate into my diet purely for my skin. First thing is water, of course. I fill up my 25-ounce S'well bottle probably five to 10 times a day—which is a lot of water! I do have to go to the bathroom often, but keeping myself hydrated is absolutely critical for good skin. For food, I eat tons of dark, leafy greens like spinach because they're full of beta-carotene, which helps with hyperpigmentation. Sweet potatoes and carrots are also amazing skin foods. They're full of beta-carotene, which can actually warm up your natural skin tone. Literally! I ate so many sweet potatoes at one point in my life, I literally turned orange, so don’t overdo it, but they are perfect to incorporate into your diet in the winter months. I also incorporate mixed berries because they are jam-packed with antioxidants, vitamins, and have been shown to be powerful anti-inflammatories. Leafy greens and mixed berries are easier to get in the summer because they are fresher and more available, but to get them in in the winter, I buy these ingredients frozen at Whole Foods, and I throw them in my smoothies. Invest in a vitamin C serum. My dermatologist told me to start using a vitamin C serum about two years ago, and I have to say, hands down, it is the one product that I think has had the biggest impact on my skin. Not only have I seen a gradual improvement over time, but vitamin C serum is also good for those of us (like myself) who need instant gratification from their skincare products. Vitamin C serum brightens my skin, reduces redness, and overall has evened out my skin tone. There are a plethora of other benefits to a vitamin C serum, like protection against sun damage, collagen production, and more, so needless to say, it’s a multitasking product that I swear by. 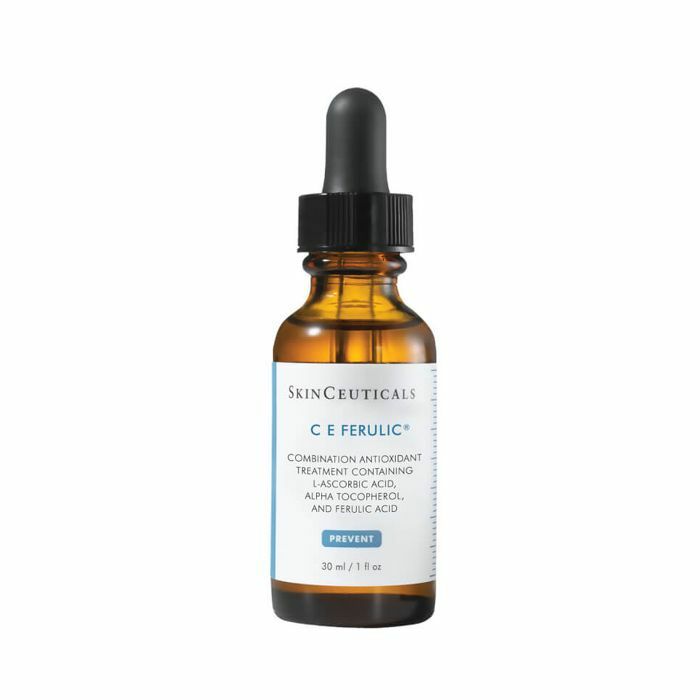 My favorite serum is SkinCeuticals CE Ferulic. While we’re on makeup, a highlighter is also a great addition to your makeup routine for glowing skin. 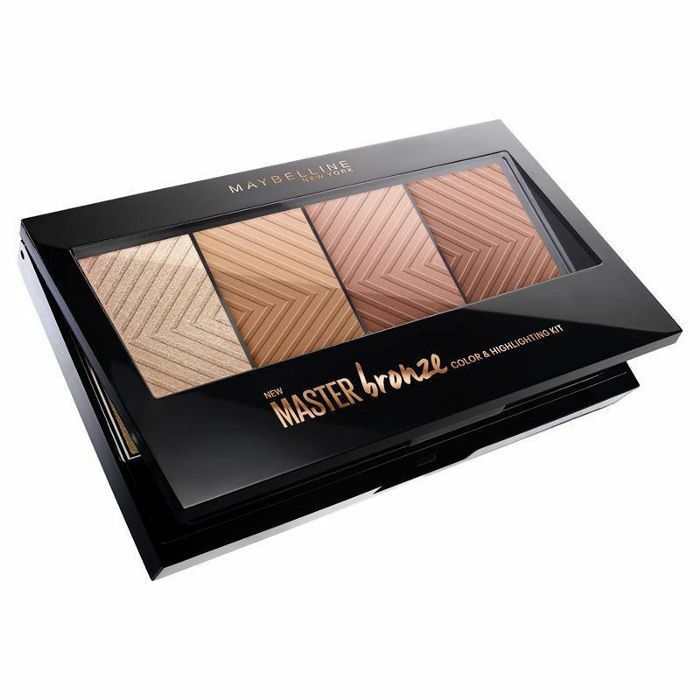 Gone are the warm days of dewy (probably sweatier) glowing skin induced by summer heat (and probably the rosé I was drinking), but it can be re-created with a really good highlighter. Applying highlighter to your upper cheekbones, nose bridge, and brow bone brightens your skin and gives you a nice glow (sans the sun and rosé). When it’s dark when I wake up and dark when I get off work, Netflix and my couch always sound way more appealing than any kind of workout, but you’d be surprised how far a short sweat session can go. I work out most days before work, even with my earliest of call times. Why? Because it gives me a bright, rosy glow with flushed cheeks that last all day. Let’s be real: I have to walk on set into a room full of people at 5 a.m. most days with zero makeup on. It's never my finest, most confident moment, so rosy, flushed cheeks are just the no-makeup makeup I need to feel confident walking into any room totally barefaced. Removing my makeup is a critical step to my skincare routine, but it’s easy to get lazy with it along with all the other skincare steps we’re supposed to be doing these days. I come home from shoots sometimes with so much glitter, waterproof makeup, and so on that taking it all off feels like my second workout of the day. Not only that, but when it’s cold and my skin is dry and sensitive, makeup wipes and certain cleansers may do the job of removing makeup, but they leave my skin stripped, dry, and red. It’s important to find cleansers that remove makeup gently and efficiently. Lately, I’ve been using this all-in-one cleanser that almost manages to remove all my makeup and the dirt of the day off my face with one wash without irritating or pulling at my skin. Really, really, stubborn, waterproof makeup? That might be a job for an oil cleanser. Oil has gotten a bad rap over the years, especially by those of us who have been cursed with acne at a time in our lives, but oil isn’t always the culprit to our troubles. In fact, oil cleansers are a great way to gently cleanse stubborn makeup. 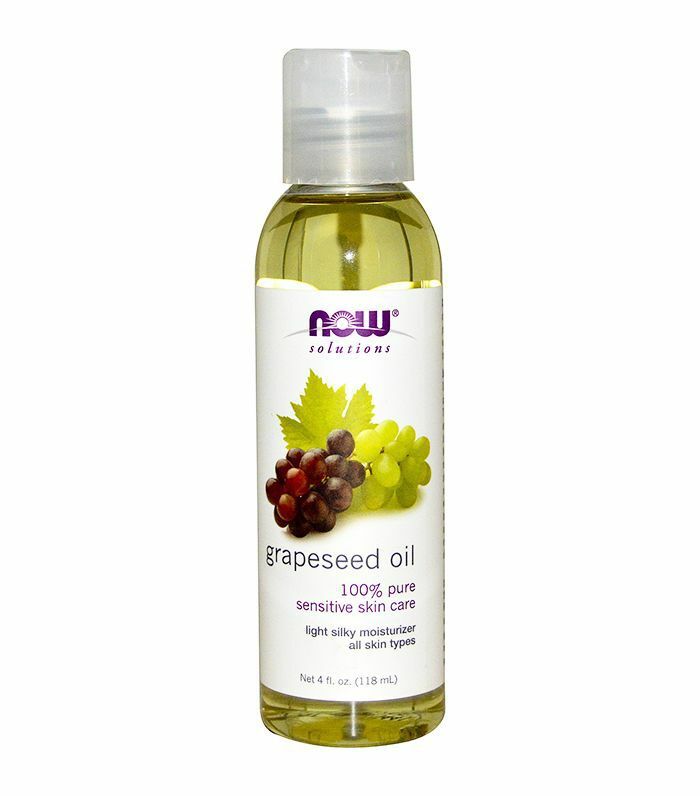 Sometimes I just use a pure grape-seed oil from Whole Foods. It works like a charm, and it leaves my skin feeling clean and moisturized. Clean, hydrated skin tonight leads to a bright and glowing complexion tomorrow, and that is all I’m asking for these days. Don’t forget to moisturize! I layer it on thick during the winter because when my skin is dry and flakey and it tends to look duller. 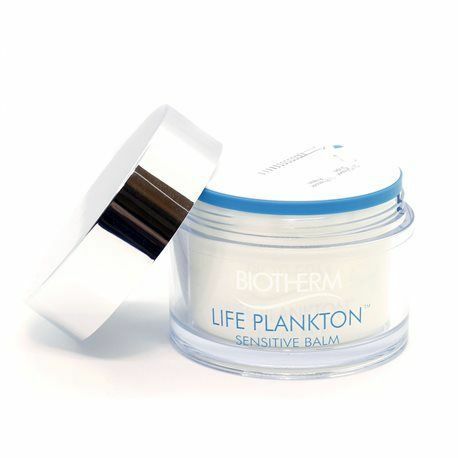 My favorite moisturizer during the winter is Life Plankton Sensitive Balm by Biotherm. It has a thick texture and its jam-packed with rejuvenating ingredients, which is perfect for dry, winter skin.